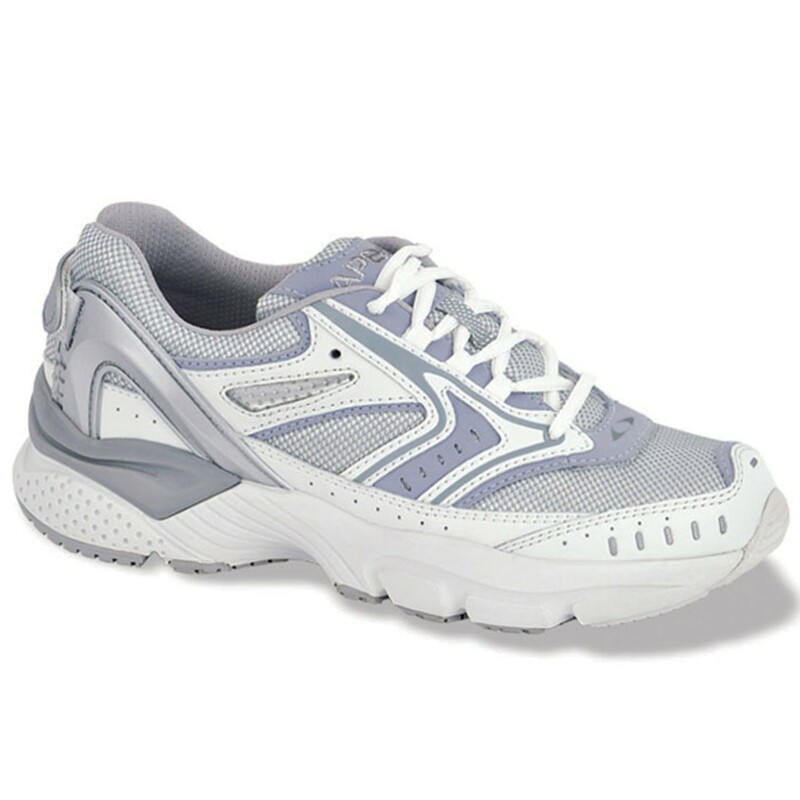 The textured rubber bottoms dependably provide solid footing when running through slippery conditions. 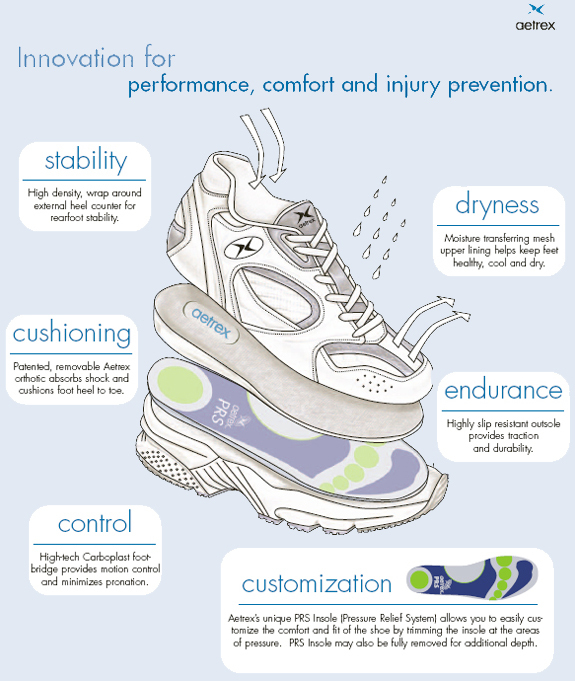 Pressure Relief System insoles can be easily altered to provide a custom fit that best adheres to your needs. OH2 Flow mesh allows an increased flow of oxygen. 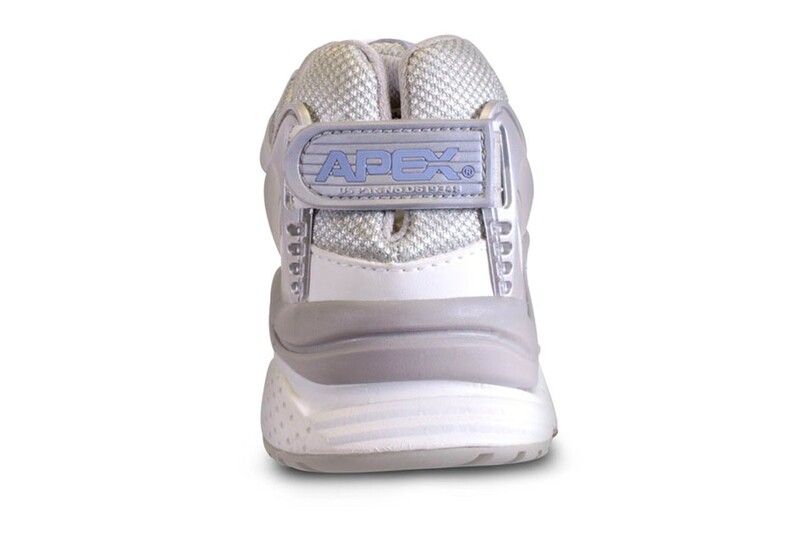 Custom orthotic insoles can slide in and out to be used only when needed. the high-tech Carboplast footbridge enables optimal movement to prevent unhealthy rolling. Part of Aetrex's Lenex Collection. Available in women's sizes 4 1/2 - 13. Comes in M, W, XW widths. Apex has been a leader in the Pedorthic industry for over 60 years. Been buying this shoe for 4 years + Only athletic shoe that fits me comfortably. I need a wide fit. Havetried other brands with Wide options, buttheir shoes don't fit me as well. The shoe was not the same as the ones I have been getting from my poditerist. Your had the same # which was deceiving. The ones I have gotten in the past have been very deep so therefore my foot and orthotics had plenty of room. These are not. I did try wearing them one day, so therefore they are unable to be returned. I will just have to use my shoe stretcher and make the most of it, and next time order them from my poditerist and not from internet. Disadvantages: No disadvantages for me with this shoe. Only wish it cost less.